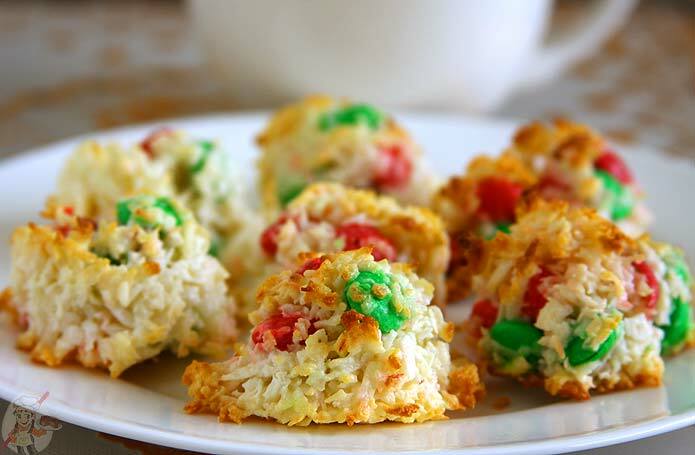 Coconut macaroons is the one of the easiest cookies one can bake. I already have an eggless coconut macaroon recipe in the blog but I wanted to try it again because I sort of messed it up that time and had to make minor cover ups to get it right. Those macaroon cookies did turn out good but I wanted to try it again and get it perfectly. 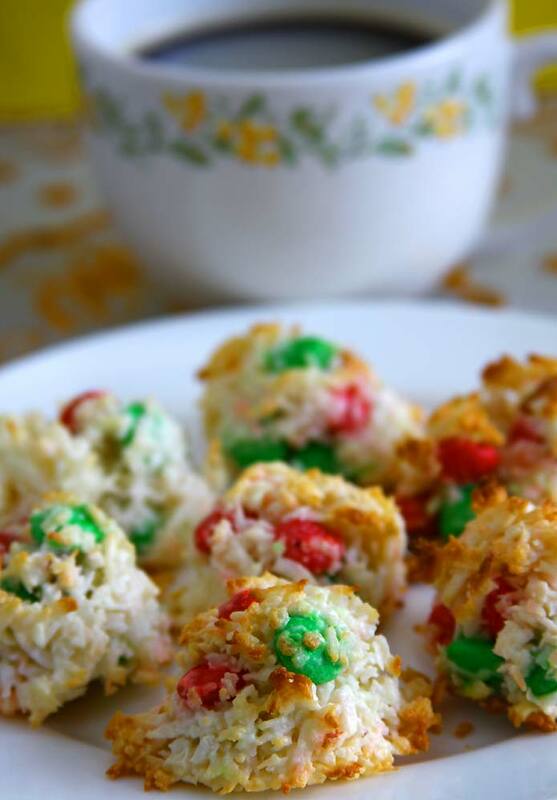 I made those coconut macaroons using sweetened condensed milk and same with these cookies too. 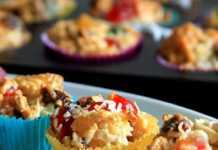 The thing which made it extra special and the best coconut macaroon cookie recipe is the addition of M&ms! Now tell me who doesn’t like it! These white beauties are adorned with red and green m&ms looking all festive and Christmassy! Too cute to be eaten for sure. 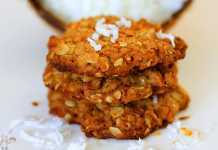 If you are not in the mood for coconut macaroon cookies you may also try these oatmeal coconut cookies instead. 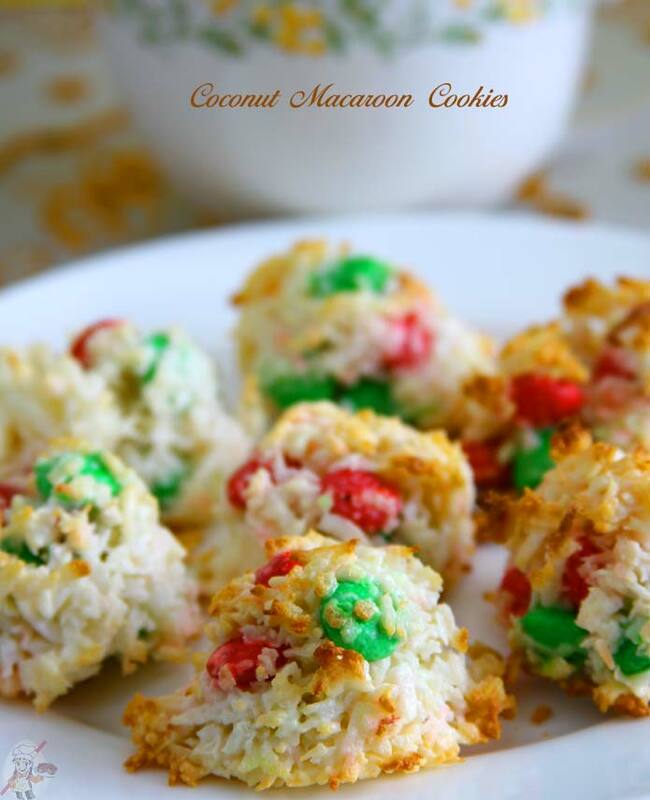 Looking for the best coconut macaroon cookies? You are in the right place. Dress it up with mini multi color M&Ms for Easter, orange and brown candies for Halloween. The list is endless. Preheat oven at 350F/180C. Lightly grease cookie sheets with non-stick cooking spray. Mix together the coconut, milk, flour and set aside. Stir in the M&Ms. 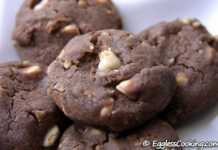 Scoop out a tablespoon of dough for each cookie and place it on the cookie sheet 1 inch apart. Bake for about 8-10 minutes or until the edges are lightly browned. Remove from the oven and place it on wire rack to cool completely. I didn’t get mini red and green M&Ms. Had the usual size. I shouldn’t have 3/4th cups of those. It was a lot of candies. So use just 1/2 cup maybe if using the big size ones.